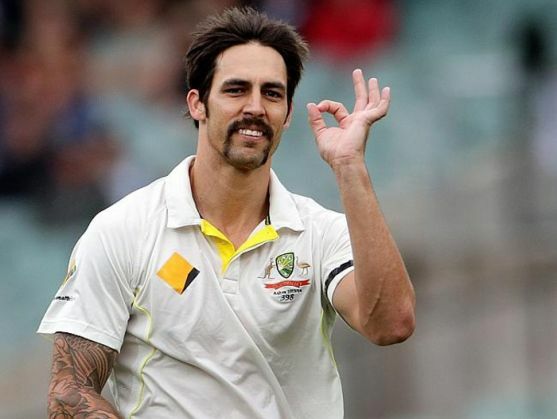 Recently retired Australian fast bowler Mitchell Johnson has named number-one ranked AB de Villiers as the most difficult batsman he had faced during his glorious international career. Describing De Villiers as the most 'outstanding player' of his generation, Johnson admitted that facing the South African swashbuckling batsman was a huge challenge for him as he had always looked calm and composed while playing, Cricket Australia reported. Johnson, who retired from the game after claiming two wickets for his side in the second Test against New Zealand, further lauded the 31-year-old batsman, saying that he was one of the best players he had played with. Australia's former pace spearhead had dismissed De Villiers five times in the Test format and three times in one-dayers since they first collided in December 2008. Johnson's decision to call time on his career came soon after similar moves by fellow Australians Michael Clarke, Brad Haddin, Chris Rogers and Ryan Harris. Meanwhile, De Villiers recently completed his 100th Test, scoring 85 runs in the rain-marred second Test against India at Bangalore.